You better hold your horses; the Kentucky Derby is just around the corner! The first weekend in May marks the 140th Kentucky Derby, taking place at one of the world’s most legendary racetracks, Churchill Downs. The famous racetrack, named for John and Henry Churchill as they provided the land for the track, is located in Louisville, Kentucky, and is the biggest horse race of the year in North America. 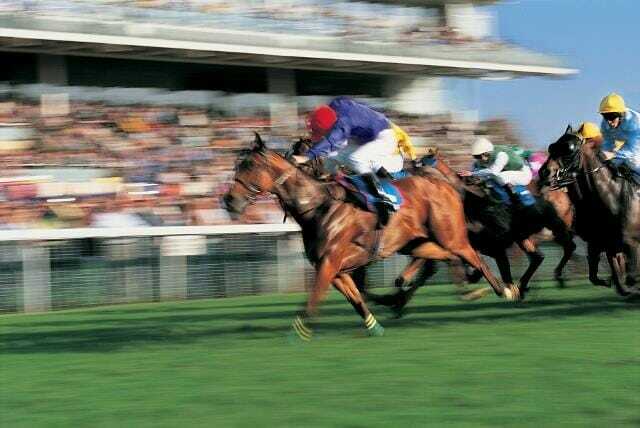 To race in this incredible event the qualified racehorses must be thoroughbred and three years of age. 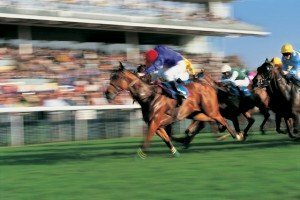 To run in the one and a quarter mile-long, left-handed dirt race, the male horses (colts), must carry 126 pounds, and the females (fillies), must carry 121 pounds. The race is held every year on the first Saturday in May, at the very end of an exiting two-week long Kentucky Derby Festival, which brings in around 165,000 people a year. Ticket prices range from $200 to $4,800 depending on when they are bought, and where you want to sit at the race. Besides being among the largest thoroughbred horse races in the world—the victors winning around $1.4 million dollars—the Kentucky Derby is also one of the biggest gambling events of the year. But after you place your bets (if you choose to do so), there are other traditions this race is known for. If you’ve got a large, elaborate hat and nowhere to wear it, the Kentucky Derby is the perfect place! Women appear in lavish outfits, their heads adorned with their hats. People from around the world come to watch the race and place bets on certain horses as they drink the traditional mint julep, an iced beverage consisting of bourbon, mint, and sugar syrup, served in either a frosted silver julep cup, or souvenir glasses printed with all previous Derby winners. There’s even burgoo, a think stew of beef, chicken, pork and vegetables that’s a popular dish at the race. You’ll hear “My Old Kentucky Home,” and celebrate when the winner is adorned with a beautiful blanket made of 564 roses—the races official flower. If you have the chance, make your way to Kentucky and have some fun watching what is known to be “the most exciting two-minutes in sports.” Maybe even have a mint julep while you’re at it! If you don’t want the excitement of the equestrian lifestyle to end with the Derby, think about making your home in a horse country. If you’re thinking sun, sand and horses, Trilogy at Ocala in Florida might be the perfect destination. Here you’ll get the 5-star resort lifestyle you’ve been dreaming of, along with the charm of the South, and a rich cultural, natural and historic surrounding. 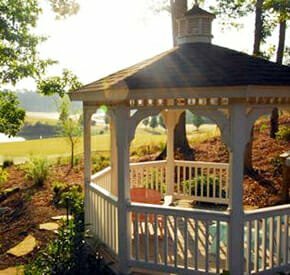 Aiken, South Carolina, is also known as a horse country, with numerous stables throughout the area. It’s also home to major equestrian events, like the Aiken Triple Crown, Aiken Trials, and the Aiken Steeplechase. Polo thrives in this community, with about 50 polo fields in the area. Woodside Plantation sits in the midst of this horse country, offering a lifestyle hard to refuse. And with a great climate, Aiken is the perfect destination.